Picture - The AEA Silver Dart in flight. The Silver Dart (or Aerodrome #4) was a derivative of an early aircraft built by a Canadian/U.S. team, which after many successful flights in Hammondsport, New York, earlier in 1909, was dismantled and shipped to Baddeck, Nova Scotia. It was flown off the ice of Baddeck Bay, a sub-basin of Bras d'Or Lake, on 23 February 1909, making it the first controlled powered flight in the British Empire. 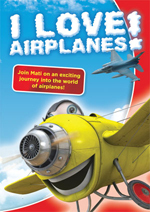 The aircraft was piloted by one of its designers, John McCurdy. The original Silver Dart was designed and built by the Aerial Experiment Association, formed under the guidance of Dr. Alexander Graham Bell. The frame and structure of the Silver Dart were made of steel tube, bamboo, friction tape, wire and wood. The wings were covered with silvery Japanese silk; hence the name the "Silver Dart". Its engine, supplied by Glenn Curtiss, was a reliable V-8 that developed 35 horsepower (26 kW) at 1,000 rpm. The propeller was carved from a solid block of wood. The aircraft had what is now called a canard or an "elevator in front" design. Like most aircraft of its day the Silver Dart had poor control characteristics; likewise, it had no brakes. When the Silver Dart lifted off on 23 February 1909, it flew only half a mile, at an elevation from three to nine meters, and a speed of roughly 65 kilometres per hour (40 mph). The aircraft was the first powered, heavier-than-air machine to fly in Canada. By the time the Silver Dart was constructed in late 1908, it was the Aerial Experiment Association's fourth flying machine. One of its precursors, the June Bug, had already broken records. It won the Scientific American Trophy for making the first official one mile flight in North America]]. But the Silver Dart outdid this when on 10 March 1909, McCurdy flew the aircraft on a circular course over a distance of more than 35 kilometres (22 mi). 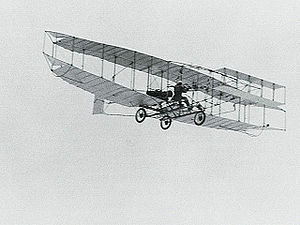 The first passenger flight in Canada was made in the Silver Dart on 2 August 1909. The Canadian Army was unimpressed at the headway made by the group. 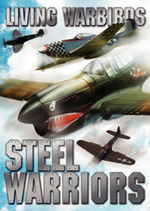 The general impression of the time was that aircraft would never amount to much in actual warfare. Despite official scepticism, the Association was finally invited to the military base at Camp Petawawa to demonstrate the aircraft. The sandy terrain made a poor runway for an aircraft with landing wheels about 2 inches (51 mm) wide. The Silver Dart had great difficulty taking off. On its fifth flight on 2 August 1909, McCurdy wrecked the craft when one wheel struck a rise in the ground while landing. The Silver Dart never flew again. Picture - The replica of the Silver Dart taxies to the starting point for its commemorative flight on 22 February 2009. It was celebrating Canada's Centennial of Flight a day early because of predicted unfavourable weather. There is a reconstruction of the Silver Dart on display at the Canada Aviation Museum in Ottawa. The reconstruction was built by volunteers from the Royal Canadian Air Force between 1956 and 1958 to celebrate the 50th anniversary of the first flight. The aircraft flew over Baddeck Bay on the day of the anniversary but crashed due to high winds. A number of other recreations are found in Canadian and museum collections in other parts of the world, including examples at The Canadian Bushplane Heritage Centre in Sault Ste. Marie, the Atlantic Canada Aviation Museum, Reynolds-Alberta Museum and Aero Space Museum of Calgary. A small group of volunteers from the not-for-profit Aerial Experiment Association 2005 Inc. completed building a flying replica of the Silver Dart in early 2009. 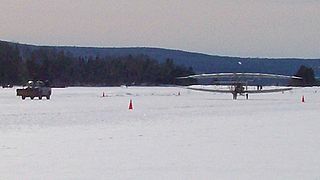 The main goal of the group was to recreate the original flight on 23 February 2009 - again on the frozen surface of Baddeck Bay near Baddeck, Nova Scotia. 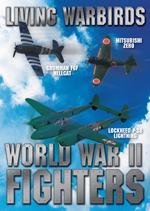 However, due to weather conditions forecast for the 23rd, the centennial flight and fly-by occurred on 22 February. After a temporary repair made to the front wheel, former Canadian astronaut Bjarni Tryggvason piloted five successful flights that day. The replica is officially considered a Canadian heritage project, and throughout the year will be the centerpiece of a series of events celebrating the centennial of the Silver Dart’s first flight in Canada. Eventually, it is intended to be permanently displayed at the Alexander Graham Bell Museum in Baddeck, after a building expansion is completed to accommodate it. Numerous other activities took place in 2009 to celebrate the Centennial of Flight, including a new exhibition entitled "Canadian Wings - A Remarkable Century of Flight" at the Canada Aviation Museum in Ottawa and a trans-Canada flight of vintage aircraft. The no longer functional official Nova Scotia Ministry of Tourism website Centennial Celebration of the Flight of the Silver Dart in Baddeck (www.flightofthesilverdart.ca) promoted the flight and anniversary activities in Baddeck throughout the centennial. Various historical photos and documents were posted on that site, in a virtual museum presentation. The 824 Silver Dart Squadron of the Royal Canadian Air Cadets in St. Peter's, Nova Scotia is named in honour of the Silver Dart. "Silver Dart Drive" in Mississauga, Ontario, a perimeter roadway within the confines of the Pearson International Airport is named for this historic aircraft. The double ice-surface arena in CFB Petawawa is known as the "Silver Dart Arena". On the Canadian Centenary of Flight, ‎Canada Post honoured the Silver Dart and the first flight in Canada with a Canadian postage stamp released on 23 February 2009.On the 50th anniversary of the first flight, Canada Post had also issued a Canadian "Silver Dart" stamp on 23 February 1959. Aerial Experimental Association (AEA). Aerofiles. . Retrieved: 19 May 2005. Milberry, Larry. Aviation in Canada: The Pioneer Decades, Vol. 1. Toronto: CANAV Books, 2008. 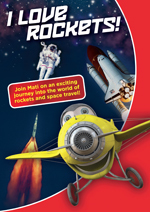 ISBN 978-0-0921122-19-0.